IT TAKES a lot of effort and heartache to achieve the dream of having children when you have problems with fertility. Countless visits to doctors, injections, the devastation of negative pregnancy tests and the hormonal roller coaster can strain family life. After going through the strain of IVF treatment to conceive her daughter, Tara Mitchell felt it was important to be honest with her about how much her mum and dad went through to bring her into the world. It was quite a turnaround from when she first considered IVF treatment at the age of 30. She said they originally kept their efforts largely quiet for several reasons, chief among them the stigma attached to IVF. "I had seen the world comment and pass judgment on others who were undertaking the process, and I didn't want to have to deal with that, nor the anticipation, needles, drugs and invasive procedures at hand," she said. She ended up writing Special Me for IVF families, a 28-page picture book aimed at explaining to IVF kids how special they are and how they came to be. 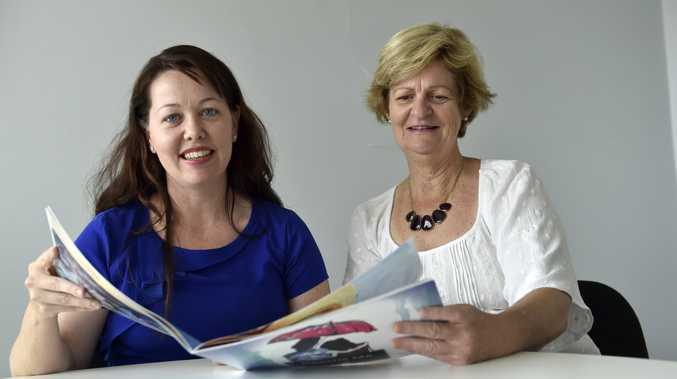 The Toowoomba mum said she'd been contacted by adults who were conceived through IVF and, feeling a connection, had ordered copies. The book will be launched at the Medici Centre's Pink Peppercorn Cafe on Wednesday at 9am.